Last week a friend of mine returned from a month-long vacation in Arizona. She and I belong to a small quilting group in our town and she brought back a fat quarter of this fabric for each of us. She said it reminded her of the Arizona sky at sunset. When I saw the fabric I thought how cool it would be to make some “stack-n-whack” style blocks from it. It was only a fat quarter, but the stripe was small. In the end, I was able to cut 8 stacks consisting of of 4 identical patches within each stack. I used six of the stacks to make “half fans” and the other two stacks to make the side borders. 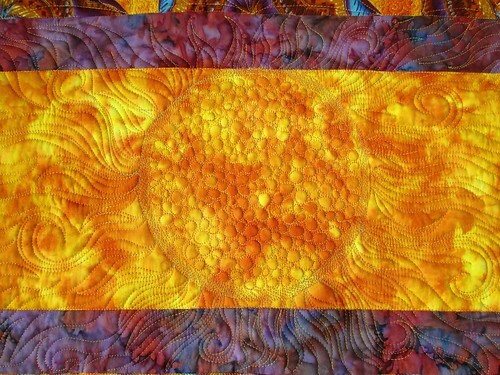 I wanted to emphasize the sun aspect, so I quilted a fiery center using multicolored thread and gold metallic thread. 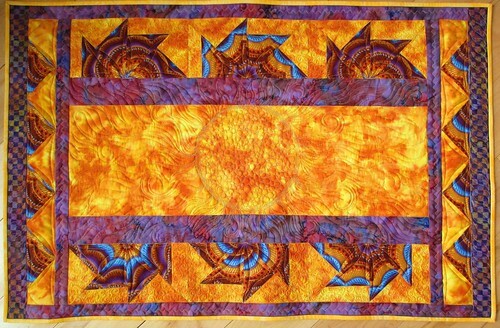 This “sun” quilting covers the entire center yellow panel and the purple borders above and below it. All in all, I was satisfied with the result! 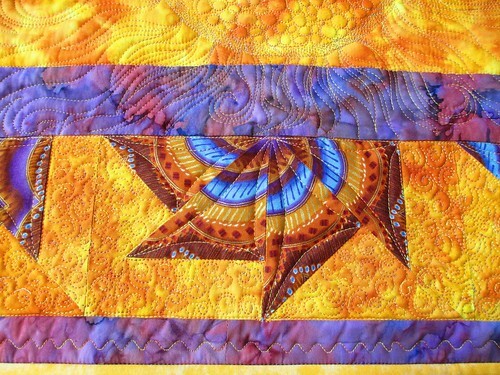 This entry was posted in Arizona Sunset, Quilting. Bookmark the permalink. WOW YOU CERTAINLY HAVE A GREAT FRIEND ! ! ! ! ! 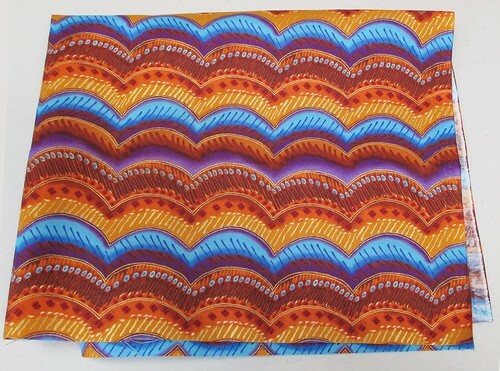 I couldn’t imagine a better use of this beautiful fabric. Awesome job.